Come winter, it gets cold here in Northern Virginia. When temperatures fall, it’s understandably tempting to simply plug in, turn on and crank up an electric radiator or space heater to keep toasty warm. It’s especially tempting to use portable space-heaters in out-of-the-way rooms in your home (nothing worse than stepping into a chilly bathroom! ), or on levels of the house that your heating system doesn’t reach very well, or on those long cold Mid-Atlantic winter nights. If you and your family are going use plug-in space heaters in your home – especially while you’re away or asleep, there are some definite must-knows about how to safely and efficiently operate that small-but-mighty, flame-red hotbox of electronic fire that throws off powerful heat from one spot. According to the U.S. Department of Energy, the U.S. Consumer Product Safety Commission estimates that about 25,000 residential fires annually are associated with faulty or incorrectly operated space heaters, with 6,000 ER-visit injuries and approximately 300 deaths by fire. So please be careful when running space heaters. Give your space heater space. Place it on a hard, level, stable, non-flammable surface. On the floor, away from foot traffic, is best. Maintain a clear buffer around the space heater with at least a three-foot radius to keep kids and pets from knocking it over. Avoid placing the heater on fluffy carpeting or near loose bedding and textiles. Point the heat where you want it to go. Portable space heaters are meant to warm up a small area, so position the heater to push the heated air toward where it’s needed most. Remember, heat rises, so it makes perfect sense – from the standpoints of safety and of physics – to keep your space heater on the floor. A space heater is a frying pan, not the fire. The electric portable space heaters manufactured by reputable companies nowadays are great, but the math shows that you don’t want to heat your entire house with them. 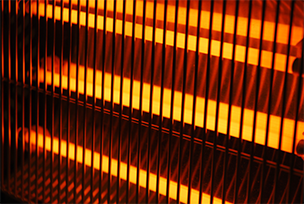 Fire your space heaters up only when and where they’re most needed, and register with the radiator manufacturer to get any important product recalls. 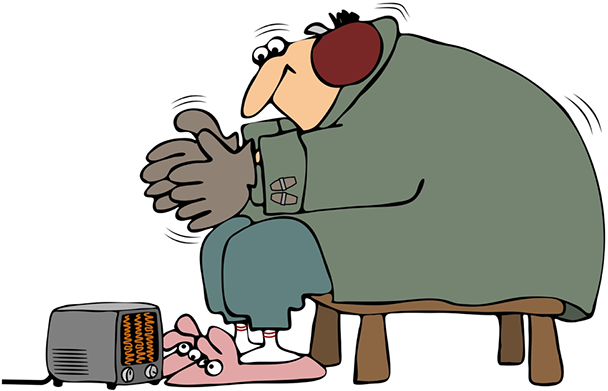 Used wisely and with care, a space heater can help you conquer NoVA’s winter cold and stay warm and cozy. For more top tips and professional indoor-air services to keep your home or office building toasty warm this winter (with or without space heaters), call your award-winning Ashburn-based HVAC experts for an appointment at 571-421-1888. This holiday season and into the New Year, One Hour Air Conditioning & Heating wishes our customers and all our friends and neighbors in Loudoun, Fairfax and around Northern Virginia a wonderful wintertime that’s happy, warm and safe.